Jagran reported about the revival of 52 dying streams in Uttarakhand, thanks to the initiative of Himalayan research institute Hisco, Bhaba Atomic centre and local inhabitants. The work began in 2002, today there has been increase of water flow by 50 to 250 litres per minute in the streams, according to the report. A study by Centre’s planning body Niti Aayog says around 300 natural water sources of Uttarakhand have dried up. Korba, in Chhattisgarh, launched its first state survey on impact of air pollution. Health issues faced by locals living in the coal power hub have been drawn up for the first time, Bhaskar reported. In 2009, the coal hub, was categorised as “critically polluted” district by Central Pollution Control Board. As part of the survey 14 air pollution monitors, and 5 real-time pollution monitors are been set up in the region. The findings will be released in November. North and Central India is reeling under deadly heat wave, with maximum temperatures ranging 3.1°C to 5.0°C above normal. On May 26, the highest of 47.5°C was recorded at Churu (West Rajasthan). 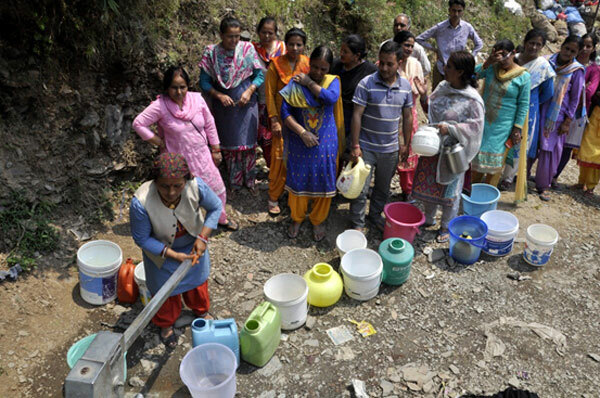 The heat wave has worsened water shortages in Shimla. 10 of 13 Uttarakhand districts are burning in forest fires. Heat waves are lasting longer because of climate change, 2017 was India’s 4th hottest year on record. Conditions may “abate gradually from May 28 onward, with easterly winds likely to set in on the plains”. Across the border, heat wave killed at least 65 people in Karachi, with temperatures exceeding 44°C. Over 22,000 people died in heat waves in India between 1992-2005, as per state data. Two-day BASIC (Brazil, South Africa, India and China) ministers’ meet noted that pre-2020 actions to cut emissions shouldn’t be ignored, till the Paris Agreement becomes operational in 2020. There was recognition that the mitigation components of NDCs (Nationally Determined Contributions) should not in any way undermine the ‘nationally determined’ nature of NDCs. There was disappointment that Doha Amendment was still not in force with 32 ratifications still required. The ministers urged the developed countries to honour their commitments to reach the goal of $100 billion per annum in climate finance by 2020. The U.S. has vowed to quit Paris deal. The first international conference on “negative emissions” concluded in Sweden. Around 250 researchers discussed “natural”, or technological (with potential risks) ways to remove CO2 and store it on land, underground or in the oceans. Policy challenges were also discussed. India will be global host for World Environment Day 2018. 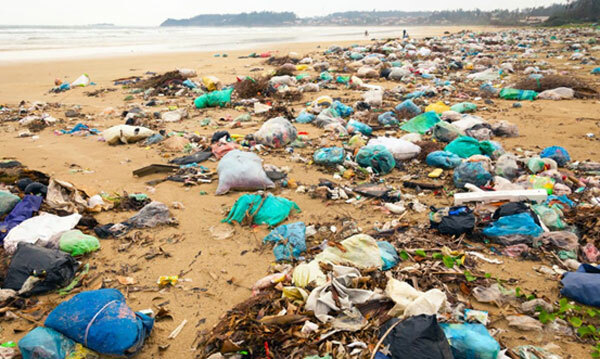 In a countdown to June 5, India has launched clean-ups including single-use plastic bans across states, universities and national parks. Sessions on plastic pollution, marine litter, new plastic economy are being held and mobilization to fight toxic air is taking place online. On June 5, PM will make a global call to action to beat plastic pollution. A study by International Energy Agency says just four of 38 energy technologies and sectors are on track to meet climate and air pollution goals. Solar PV, LED lighting, data centers and networks and electric vehicles, made “tremendous progress” last year, IEA said adding that energy efficiency improvements have slowed and progress on technologies like carbon capture and storage has stalled. This led to a 1.4% increase in CO2 emissions last year, IEA said. According to the UN’s International Labor Organization (ILO) study, the Paris accord will create 24 million jobs by 2030. Jobs in renewable energy and other low-carbon industries will “more than offset” fossil fuel job losses of 6 million, creating a “net gain of 18 million”. ‘Delist Vedanta’ from London Stock Exchange, Shareholders listening? 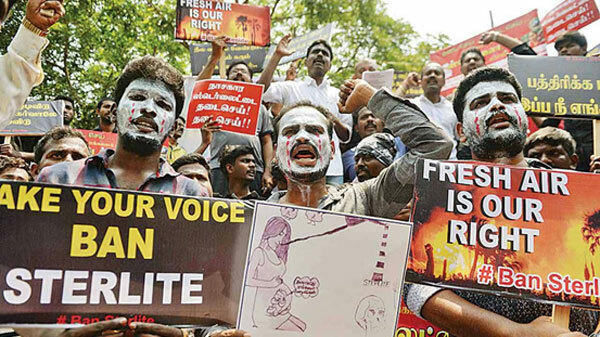 13 people were killed in Tuticorin in Tamil Nadu after police opened fire on protesters demanding closure of a big copper smelter run by London-listed Vedanta. UK’s shadow chancellor said “the massacre meant Vedanta should be delisted from London Stock Exchange”. Experts blamed state-corporate nexus and urged shareholders to hold companies accountable for violating local environmental laws. Vedanta has been accused of dumping copper slag in a river, causing air pollution, contaminating groundwater and a risk to fisheries. 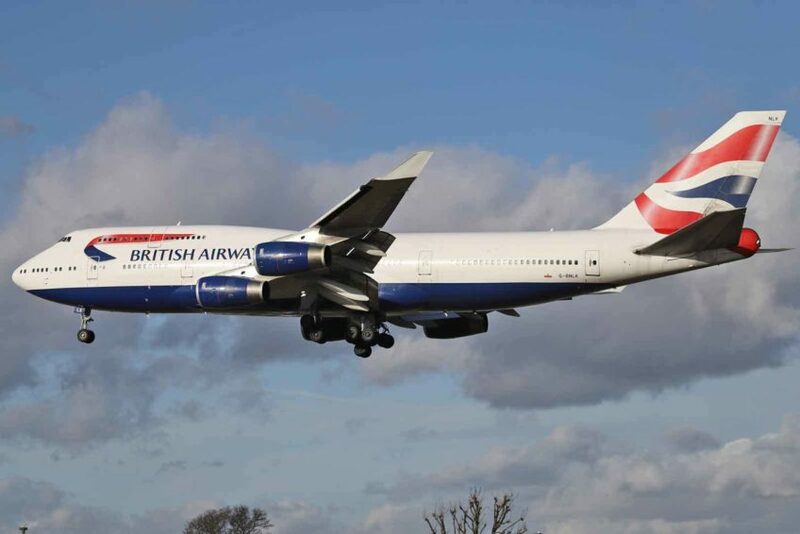 Shares for the company dropped by 11 percent after news of the incident. The state government has ordered permanent closure of the plant following the protests. A study conducted in 11 north Indian cities says that annual premature deaths linked to air pollution range from 150-300 people per 1 lakh population. Air pollution in UP, Bihar and Jharkhand have been increasing rapidly in the last 17 years. Kanpur recorded the highest number of premature deaths per year (4,173) due to air pollution, followed by Lucknow (4,127), Agra (2,421), Meerut (2,044), Varanasi (1,581), Allahabad (1,443) and Gorakhpur (914). Major contributors are residential sources like cooking with biomass and heating of building. Ready for new season of crop burning? At least 17 incidents of stubble burning were spotted in last 3 weeks in Punjab, between Ludhiana and Pathankot. Experts warn of smog build up over north Indian cities. Crop burning pattern has spread from Oct-Nov paddy harvest, to wheat harvests of April and May. Shutting down coal-and-oil fired plants reduces premature births in the surrounding areas, new study says. Scientists counted the number of preterm babies born around eight power plants before and after their closings from 2001 to 2011. Air pollution dropped after closing to an average of 4 tons of nitrogen oxides per year. The premature births decreased significantly near power plants after they closed. Centre launched a compliance cell to track Renewable Purchase Obligations (RPO) targets of states. With monthly reports, the cell will coordinate with states, and Centre and state regulators. RPOs are key in achieving the ambitious 175 GW by 2022 renewables target. India needs a rate of over 19 GW of solar per year. In 2017, 25 states and union territories were behind targets, leaving solar RPO deficit of 2,033.94 MW. Centre announced new norms to select solar park developers: park capacity to be minimum 100 MW in planes, 50MW in hilly regions; state distribution companies (Discoms) not anymore obliged to buy minimum 20% power; private developers to maintain state land, allowed to lease/sell the land to other solar project developer (SPDs); developers who own the land to get assistance of ₹1.2 million/MW; project deadline 18-months in principle. Karnataka fixed generic tariff of grid-connected solar projects of capacity less than 5 MW at ₹3.05 ($0.0447)/kWh, ₹1.31 or 30% less than previous ₹4.36 ($0.07)/kWh, all thanks to declining tariffs in state tenders. Tariff for rooftop projects of 1MW or less was fixed at ₹2.67 (~$0.0391)/kWh (without subsidy), and ₹3.56 (~$0.052)/kWh, with subsidy. Generic tariff for rooftop solar without subsidy was fixed at ₹2.53 (~$0.037)/kWh or 49% less than the previous of ₹5.20 (~$0.08)/kWh. Generic tariff for wind projects less than 25MW was fixed at ₹3.45 (~$0.0505)/kWh, which is ₹0.29 (~$0.0042)/kWh less than the previous ₹3.74 (~$0.0548)/kWh. Karnataka, country’s top solar state, exceeded 5GW of cumulative solar installations in Q1 2018, with market share of 24% of India’s total installed capacity during that same quarter. IEEFA study says China and India are leading global solar sector with world’s largest operating utility-scale solar projects. Costs are falling because of scale and speed of construction. Solar capacity added in 2017, was up 31% from 2016. Of the top 10, China’s 1547MW Tengger Desert Park ranked on top, followed by Andhra Pradesh-backed 1000MW Kurnool Solar Park, Adani’s 648 MW Kamuthi Solar Plant ranked 6. In an alert, rating agency ICRA has warned that the infrastructure was highly inadequate to evacuate power from the many wind power projects bid out by Centre’s solar energy corporation of India (SECI) in the past 15 months: 5.1GW bid out so far. It may take 2-3 years to increase infrastructure, but developers get only 18 months from the time Power Purchase Agreements (PPA) are signed. 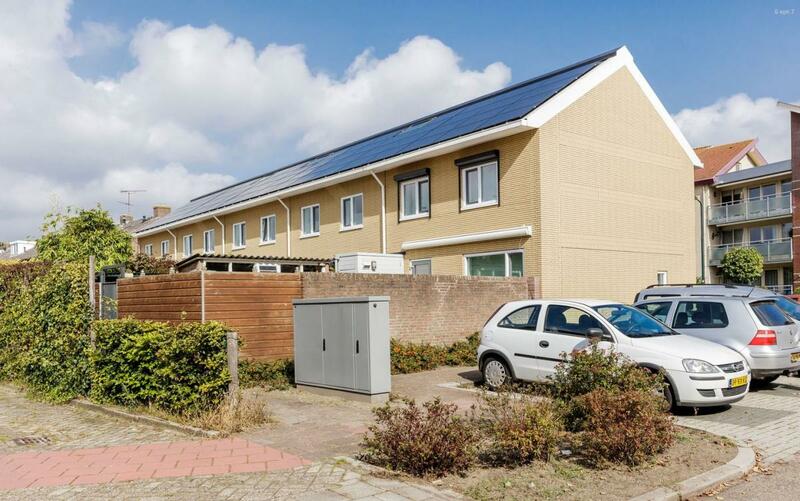 Set to miss June deadline, rooftop solar installer lobby, the Distributed Solar Power Association (DiSPA) has sought 6 more months (with subsidy), to complete installations on roofs of state buildings. Developers (Sunsource, Azure, ReNew, TEP, Cleanmax, and Amplus) blamed “concerned ministries” for delay. Over 95 MW of rooftop PPAs have been signed, 100-120 MW are in the pipeline. 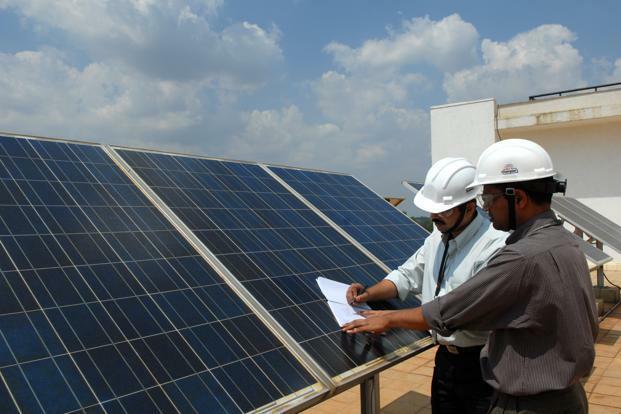 India’s rooftop installations grew by 56% year-over-year to reach 1.6 GW in 2017. Mercom rated 2017 India’s best solar year at 9,629 MW (more than double of 4,313 MW installed in 2016). India’s total solar capacity in 2017 touched 19.6 GW. Greenko was the top installer, followed by Adani and ReNew. 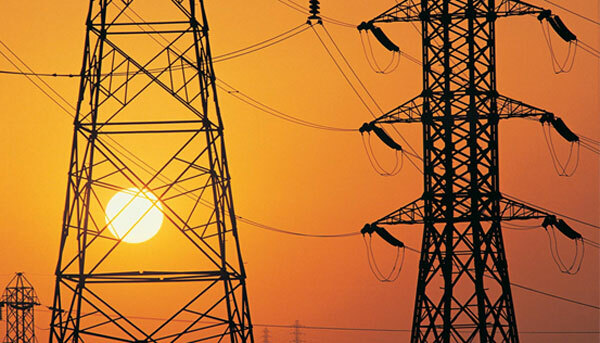 There are over 200 utility-scale firms, each with at least 5MW projects running. NLC owns most large-scale projects in pipeline among state firms, while ACME pipeline projects top private firms. Chasing 4GW by 2022 target, NLC finally commissioned 300 MW of grid-connected solar projects in Tamil Nadu. A top finance ministry official said Centre’s inclusion of renewables in the priority sector lending has improved securing finance for renewable projects and introduction of competitive bidding has driven the costs. Centre plans to launch five funds of $5 billion each, to promote green energy. Indian firm sells stake; GE ‘can’t match’ wind, solar; Slowdown in next 6-9 months? Renewable energy generator firms, Europe’s Statkraft and India’s Bharat Light and Power (BLP) ended partnership. In the US, GE spokesman said “solar is very cheap” and his company’s gas units were “just not cutting it.” Vistra and Dominion Energy are also “done with gas-fired power plants” are shifting to solar. Schneider Electric’s India solar business chief expects a slowdown in solar sector in the next “6-9 months” because of delays in bidding and PPAs. Centre plans to set up solar powered digital service centres in 2.5 lakh village panchayats. 700 digital villages will be established by the year end. Digital centres will provide govt and private e-services, will have solar lighting, LED assembly unit and Wi-fi. Centre’s National Institute of Wind Energy relaxed deadline and eligibility norms for 1GW wind capacities to be set up off the Gujarat coast. Now, previous experience of installing offshore wind projects, have been reduced from over 500MW to over 250 MW. There will be no competitive bidding, instead the shortlisted parties will be consulted for preparation of bidding documents. “Dismissive and deceptive car dealerships create barriers to electric vehicle adoption at the point of sale”. That’s the actual title of a new Nature research based on an experiment with 126 shopping experiences in the Nordic EU region. 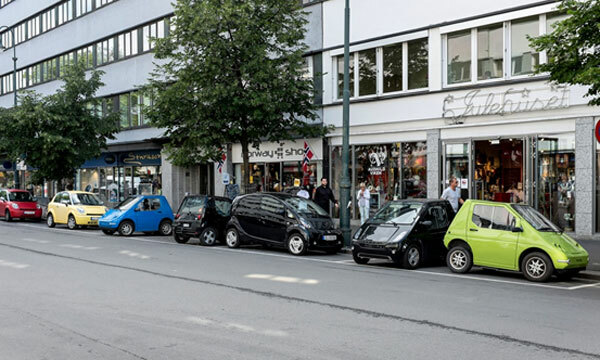 At 82 car dealerships across Denmark, Finland, Iceland, Norway and Sweden, the study found that dealers were dismissive of EVs, misinformed shoppers on vehicle specifications, omitted EVs from the sales conversation and strongly prodded buyers towards petrol and diesel vehicle options. Exicom, SBD, BHEL and Delta bagged the order to supply 2000 EV chargers for Centre’s Energy Efficiency Services Limited (EESL). EESL had also announced a second tender to procure 10,000 EVs in March 2018. The four storage firms will supply 1,800 AC chargers and 200 DC Fast Chargers (15 kW) across the country to power TATA and Mahindra cars procured by EESL. Scramble for India’s EV sector is intensifying as the government targets the sale of 6-7 million new hybrid and EVs by 2020. Latest BNEF study says, very little charging infrastructure and lack of affordable models will hamper EV market in India. By 2030, EVs will make up 44% of European light-duty vehicle sales, 41% of those in China, 34% in the U.S., 17% in Japan, but just 7% of new car sales in India, the report said. Spot prices for coal-fired thermal power soared to an average of Rs. 6.3/kWh last week and briefly touched Rs. 11.4/kWh – the highest ever recorded on India Energy Exchange – on May 22nd under rising peak power demand and prolonged coal supply shortages. The situation has prompted union coal minister Piyush Goyal to urge all pithead plants with adequate coal supplies to raise their PLFs to 100% to ensure uninterrupted power supplies. The request comes amidst a 15% year-on-year rise in India’s thermal coal imports (to compensate for domestic shortages) and a new govt. recommendation to allow independent power producers to switch supply contracts to coal mines closest to their plants for lower transport (and therefore, generation) costs and fewer supply bottlenecks. 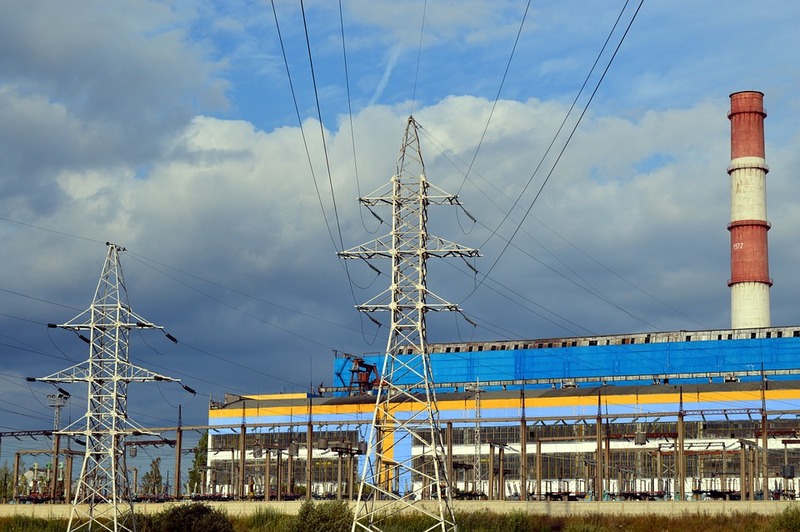 India – through West Bengal – is also tying up with Poland, which is keen to promote its technical prowess in extracting “clean coal” from West Bengal’s reserves. However, as power demand and thermal power generation rises in India (by 3.6% year-on-year), the govt. has also issued (a seemingly contradictory) order to allocate extra coal to central and state thermal power developers over private developers. The move has been criticized by the latter as it could lower their dismal PLFs (currently averaging 55.3%) even further, while bolstering PLFs for the Centre owned plants (currently averaging 72.35%). New York state has released a draft statement to phase-out the state’s last remaining 979MW of coal-fired thermal power plants by 2020 in a bid to reduce its carbon emissions by 40% by 2030. The move is in direct contrast to the US’ federal plan to establish global energy dominance by increasing reliance on coal and natural gas, and is mirrored by The Netherlands, which will ban all coal-fired thermal power used in the country by 2030. Germany’s coal exit commission on the other hand has reportedly prioritized jobs and economic stability over a hard exit from coal, which would entail shutting down its lignite and hard coal fired thermal power plants, presumably before 2030. The two sources together still account for about 37% of the country’s power output. Once a leader in clean energy transition, Germany is projected to fall short of its 2020 target of reducing greenhouse gas emissions by 40% over 1990 levels, and coal may remain a part of its energy mix even beyond its target of going largely GHG neutral by 2050. US President Donald Trump’s frantic tweet against the “artificially very high” global crude oil prices has prompted OPEC’s largest member Saudi Arabia to cool off on its quest to drive up the fuel’s prices beyond $80/barrel (prices settled at under $76/barrel last Friday). The country, along with Russia and the US, will also raise oil output to further ease the price rally. 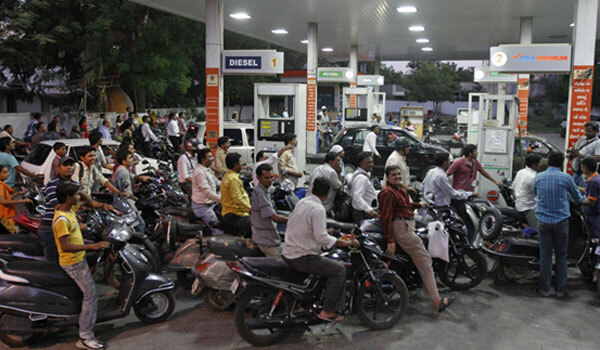 While Saudi Arabia has Saudi Aramco’s 2019 public listing in mind behind the price target, client nations – including India – were hit hard as crude oil prices hit record highs, with petrol reaching Rs.78.27/liter in Delhi and Rs. 85.93/liter in Mumbai. Every $1 rise in Brent Crude prices adds about $8 billion to India’s already ballooning oil import bills. Meanwhile ex-UN Climate Change Secretariat head Christina Figueres has warned that drilling oil in the Arctic is economically not feasible under global warming as it may take years to profitably develop initial discoveries. However several Big Oil companies – including Norway’s Statoil (now Equinor) – are keen to exploit the region as warming temperatures thaw Arctic ice down to less challenging levels.